It took me by surprise when I created a view on my list based on workflow status that it does not work. I wanted to create a "In Progress" view for my list which had workflows running on it. After some searching I came to know that what you see is NOT what you get. We all know that a workflow can be in my states. 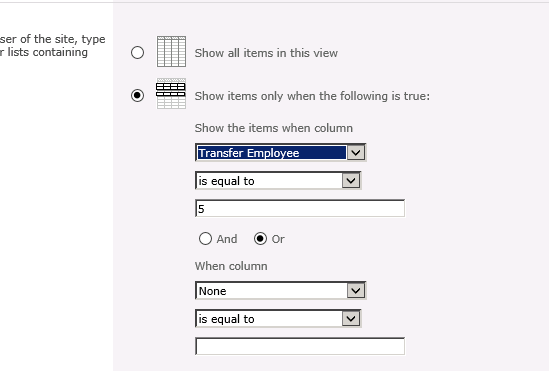 Following is the list of common workflow states and what unique number SharePoint 2010 assigns them. 3. On Create View screen, name this view and scroll down to Filter section and select your Workflow name from "Show the items when column" drop down. 4. Select "is equal to"
5. Put a number in the text field depending on what view you are creating. Pick a number from table given above to create a particular view. 7. You can view all your views.